Product information "Animal Printed Wool / Silk Scarf - Navy"
This wool/silk fabric is airy, soft and warm at the same time: its matte structure and slightly grainy print are perfect for the colder months. Thanks to its generous 180x45cm this scarf can be worn in a variety of ways, from a classic ascot knot to a cosy double loop. 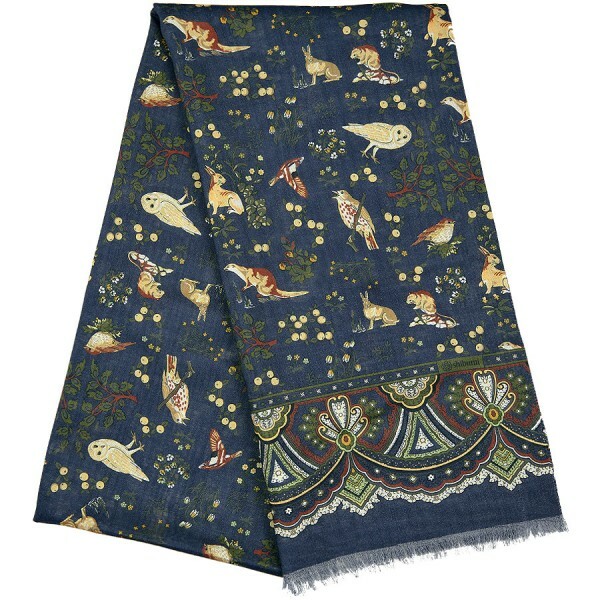 Related links to "Animal Printed Wool / Silk Scarf - Navy"